If you’re looking for someone to help you grow your business, then you’ve come to the right place. Even the best brands and businesses can get a bit stuck occasionally – all kinds of external factors can disrupt previously successful long-term strategies and plans. 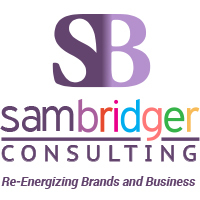 A highly experienced, freelance Marketing Director and Consultant, I re-energize brands and business by identifying the issues that are holding a business back and creating a new, insight-led strategy to drive the business forward. I can help businesses overcome even the most frustrating challenges, developing effective new strategies that reach new audiences, transform the brand and increase sales. I also help small businesses launch new products, improve their marketing strategy and find innovative new ways to stand out in a cluttered and highly competitive marketplace. So if your business could do with a bit of a jump start, get in touch to see how I can help. I can review and align the key business and marketing strategies and ensure the organisation is ready to overcome any challenges, grow into new markets and attract new customers. Working as an interim or as a consultant, I can bring fresh strategic insights from a wealth of different sectors to your business. Whether I’m creating new national divisions, heading up pan-EMEA teams or managing the smallest department, I always make sure the strategy, structures, processes, roles and team are in best shape to deliver. Motivating teams and uniting stakeholders behind a single, agreed strategy is one of my key skills. Identifying the opportunities and challenges, understanding your customers and knowing how and when to communicate with them in a competitive marketplace is the foundation of an effective marketing strategy. Effective measurement and evaluation will protect budgets and keep the strategy on track. Digital marketing is easy, right? Anyone can post a Tweet, send an email or promote their brand on Instagram, after all. Effective digital marketing that properly engages with and retains your customers, however, can be tricky. And in a world of increasingly fragmented media plans, helping the Board understand the collective value of all CRM and Social activities is critical. Your brand is one of your biggest assets, which is why it needs to be properly managed and protected. A review of your brand strategy, updating or defining the architecture, positioning, personality, values, identity and experience, will ensure all activities deliver against your brand vision and help the team to focus and prioritise. As a client, I’ve run dozens of pitches involving countless agencies; managing the whole process and implementing best-practice agency management methods. I now help agencies pitch for new business by providing a clear, strategic ‘client view’ of the brief and coaching the team as they prepare for the presentation. For some businesses, committing to a ‘full time’ interim resource may be unnecessary or cost prohibitive. Working as a Consultant allows me to share my strategic insights with a business on a more ad hoc or project-led basis and is an incredibly cost-effective way of achieving fast business growth. As an experienced interim, I can hit the ground running – whether that’s to set up and manage a whole new division, or develop a new strategy for the existing team to implement. I can bring an objective, external perspective and fresh thinking from lots of other sectors to your business.